You are here: Home / Our Blog / Uncategorized / May is National Physical Fitness and Sports Month! 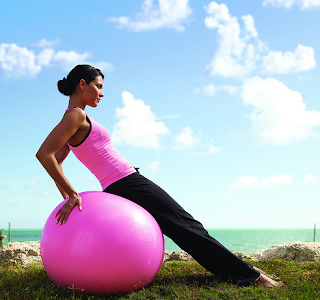 Did you know the month of May is designated National Physical Fitness and Sports Month? In 1983, President Ronald Reagan encouraged Americans to incorporate more physical activity into their lives, and the reminder is even more significant in this day and age, as kids everywhere are distracted more and more by television, social networking and video games. Kids living an active lifestyle can improve their health, productivity and overall well-being, and best of all? It doesn’t have to take a lot of time! The U.S. Department of Health and Human Services has provided these public health guidelines for your convenience. The guidelines call for children and teens to exercise for at least one hour each day of moderate intensity physical activity (such as playing sports or brisk walking) or one hour and 15 minutes of vigorous activity (jogging, dancing and jumping rope). At Childers Orthodontics, we always encourage our patients to stay fit by exercising or participating in sports. However, we want to remind you to always wear a mouth guard or other forms of facial protection when playing sports. To learn more about how often your child should exercise, we recommend you check out this series of helpful articles about kids and exercise, courtesy of our friends at KidsHealth.org. https://childersbraces.com/wp-content/uploads/2011/05/woman-running.jpg 635 960 DrCAdmin https://childersbraces.com/wp-content/uploads/2016/10/logo-childers-orthodontics.png DrCAdmin2011-05-13 21:58:002019-03-08 07:29:32May is National Physical Fitness and Sports Month! May is National Teen Self-Esteem Month Win a gaming system of YOUR choice and a car detailing for DAD!